Limited early voting is already underway for the November election, and the opportunities and locations for early voting will expand considerably on October 22. 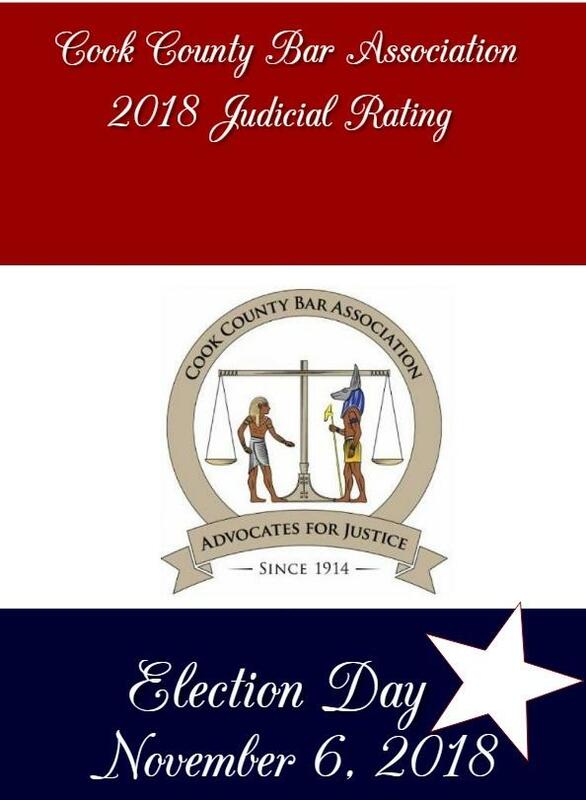 So some visitors here may be looking to do their due diligence and figure out how to make informed choices about the many judicial races on the November ballot. If you're not voting early -- or not voting early yet -- check back with FWIW frequently. I'll be providing additional information and resources whenever I can. And if you are voting early, I have some bad news for you: It won't make the commercials stop. I asked. The Committee's work begins when the candidate submits his or her completed questionnaire. The 16-page questionnaire for sitting judges, require the candidate to list personal, professional and judicial references and to provide the names of lawyers who have recently appeared before him or her. Candidates with fewer than four years on the bench are also asked to identify adversaries with whom they worked before taking the bench. Lawyer candidates are asked to provide detailed information about their jury and non-jury trial experiences, the names of five judges before whom they have appeared and a list of at least 20 lawyers who have represented adverse positions in matters handled by them. The JEC obtained written materials dealing with the candidates' judicial performance from the major newspapers. In several cases, transcripts and other relevant, publicly available documents relating to official investigations of judges and court personnel were obtained from official sources. The complete file was then assigned to a two-person investigation team. The investigators conducted personal interviews with the listed legal references. A specially assigned team of investigators reviewed the files of the Attorney Registration and Disciplinary Commission and submitted to the investigators and the hearing panel a report on the information disclosed in those files. On completion of the interviews and a review of the file materials, the investigations team completed a comprehensive report regarding the qualifications of the candidate. Hearings were conducted on Tuesday and Thursday evenings and on Saturday mornings. Hearing division members were randomly assigned, in accordance with the JEC resolution, to either of two hearing rooms by a blind drawing for room assignment. Typically, 12 to 15 JEC members were assigned to each room. Only at that time did they learn which candidates they would be evaluating and who the other members of the panel were. Each member of the hearing panel was provided with a copy of the investigator's report, a copy of the completed questionnaire with all material submitted by the candidate, and copies of any other relevant documents including, in some cases, newspaper clippings and transcripts of court proceedings. Each member and the candidate execute a written oath to keep the nature and content of the report, questioning, and hearing confidential. The JEC included in its investigation all possible sources of information available to it. However, because the Committee cannot compel the production of evidence or the attendance of witnesses before it nor, understandably, expect disclosure by the authorities of evidence discovered in pending investigations, the JEC cannot be assured that it has uncovered all the evidence which, in the future, may lead to formal charges. Within its authority, the JEC develops the most complete record available and gives careful and thoughtful consideration to the available evidence. A member of the Executive Committee chaired each hearing. The candidate was advised of the procedures to be employed at the hearing and then questioned at length by the chair in regard to abilities, experiences, perceived strengths and weaknesses and, where appropriate, specific problems disclosed in the investigation. The chair then invited questions from members of the hearing panel. The candidate was then given an opportunity to make any statement he or she chose in his or her own behalf. On excusing the candidate from the hearing room, the chair then opened the floor to discussion of the candidate's qualifications among the panel members. Only after the members had been given the opportunity to openly voice their opinions was the issue of the finding of the JEC put to a vote. The hearing panel members voted by secret ballot and were asked to rate the candidate as “Highly Qualified,” "Qualified" or "Not Recommended.” The JEC’s governing resolution provides that to be found “Highly Qualified,” the candidate must receive that rating on 80% of the ballots. To be found “Qualified” the candidate must receive a favorable rating on 60% of the ballots. The failure of a candidate to receive 60 percent affirmative vote results in a finding of "Not Recommended." Each hearing panel member was also asked for written comments on the candidate’s qualifications, areas worthy of commendation and areas of needed improvement. Following a tabulation of the vote, the chair reviewed and capsulized the written comments in preparing the statement of reasons given in support of the Committee's finding. David Lawrence Studenroth was admitted to the Illinois bar in 1987. In 1987 he became an Assistant Cook County State’s Attorney. In 1998 he began a solo practice focusing on criminal defense matters. Mr. Studenroth is considered to have good legal ability and temperament. He has litigation experience and is reported to be a solid practitioner. The Council finds him Qualified for the Circuit Court. Joel Chupack was admitted to practice in 1982. 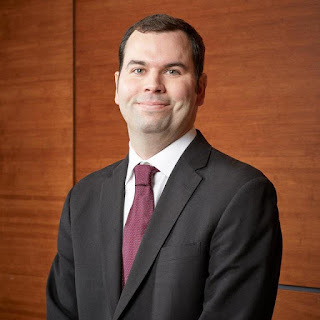 He is a partner in the private practice firm of Heinrich & Kramer P.C, with an emphasis in real estate related litigation, including foreclosure, tax deed, eviction, building court, mechanics’ liens, chancery actions, and probate. He has presided over 200 arbitrations as a member of the Commercial Panel of the American Arbitration Association. He reports having an active litigation practice. From 1986 to 1990 he was a litigation associate with McBride Baker & Coles. Mr. Chupak is active in Bar Association activities and has worked on real estate related legislation as a member of the ISBA Real Estate Section Council. He is considered to have good legal ability and is reported to be very knowledgeable about his areas of practice. He has a good temperament and is hard-working. He is praised for his work as an arbitrator. He has litigation experience. In general, Mr. Chupack is considered to be a good lawyer. The Council finds him Qualified for the Circuit Court. Shannon P. O’Malley did not participate in the evaluation process. The Council finds him Not Recommended for the Circuit Court. Scott Darrell McKenna was admitted to practice in 1996. Mr. McKenna is currently a partner at Best, Vanderlaan & Harrington. He is the principal trial attorney for a caseload of approximately 175 civil cases. He also is responsible for interviewing and hiring attorneys, mentoring attorneys, reviewing client bills and management of the firm. From 1997 to 2000, Mr. McKenna was an associate at Richard B. Bogich & Associates (now known as Winters Salzetta O’Brien & Richardson). He handled plaintiff personal injury matters at both the trial and appellate levels. Mr. McKenna is considered to have good legal ability and temperament. His career includes law firm management and extensive experience as a litigator in civil matters. The Council finds him Qualified for the Circuit Court. The Council does not evaluate candidates based on their substantive views of political or social issues. Nor do we take into account the particular race in which a candidate is running or the candidates against whom a candidate is running. We apply a uniform standard for all countywide and subcircuit elections because judges elected through either method can be assigned to any judicial position in the Circuit Court. Judge Araujo's reassignment came about because of conduct referred to in this prior FWIW post. The matter that got Judge Schwind reassigned is discussed in further detail in this post. According to the press release issued by Chief Judge Evans's office last evening, the Executive Committee referred Judge Araujo to sexual harassment training and counseling and Judge Schwind to sensitivity training. Both matters have also been referred to the Judicial Inquiry Board. Only if the JIB takes the next step, that of filing a complaint with the Courts Commission, will the JIB's evaluation of the charges become public. Quoting now from the JIB website, "Should someone other than a Board or staff member make public the existence of a Board inquiry or investigation, such disclosure is not within the authority of the Board to address. This constitutional requirement of confidentiality protects the judiciary from unjust criticism and protects those who furnish information to the Board." So the Board can not and will not discuss its investigation into these matters and will not respond to inquiries why it does or does not charge a judge in any particular case. Therefore, unless a complaint to the Courts Commission results in either case, this figures to be the last we hear about these matters. The assignments of these two judges to administrative duties are effective until further notice. Brian Murray, an associate with Angelini, Ori & Abate, LLC, died early this morning, succumbing after a long and valiant struggle with cancer. This is a recent photo. It's not how I remember him at all. I best remember Brian Murray (Immaculate Conception School Class of 1999) sitting next to my son, John (ditto), on the far end of the bench at IC basketball and volleyball games. They were good enough to make the team, but not quite good enough to see a lot of playing time. In those days, before cell phones were routinely placed in the hands of junior high students, they could only joke about ordering a pizza for delivery to the bench during a game. No pizza was ever actually ordered, but it was a great running gag. Years passed. So I didn't immediately make the connection between the kid who used to ride the lonesome pines with my son and the young man who greeted me as "Mr. Leyhane" one day on a Daley Center elevator. Isn't this true for most people? We accept, however grudgingly, that our kids grow up, finish school, get jobs -- but, because we don't see them regularly, we think of our kids' friends as unchanged and unchanging. That day in the elevator, young Mr. Murray gave me the thumbnail sketch of his life's journey after Notre Dame High School (now Notre Dame College Prep) where he and my son John had been football teammates. Brian Murray, ND Class of '03, was now a brother attorney. And did I feel old. I feel much, much older today. Joe Ori, of Angelini, Ori & Abate, LLC, said that Murray "was a true trial lawyer, unfazed and fearless in his pursuit of justice." In an email statement this morning, Ori noted how Murray had been recognized four times by Illinois Super Lawyers Magazine as a "Rising Star" under the age of 40. Murray worked "tenaciously," Ori said, "but with integrity and honor, achieving significant results for victims of catastrophic injury and wrongful death." Ori added,"'Mur' was equally unfazed while he courageously fought his disease for over two years, working in the office and litigating in court almost every day until his final days. He was highly respected by his opponents, and beloved by his colleagues." Murray was also serving as Notre Dame College Prep's Alumni Board at the time of his passing. Ralph Elwart, Notre Dame College Prep President, said Murray's service on the board "came naturally to him. It was a perfect marriage of his love for Notre Dame and his innate ability to lead and inspire others. Brian exemplified what it means to be a Don, both in his personal and professional life. He was the kind of person who could just say the word and a bandwagon of life-long friends would show up in support. During his more than five years on our board in various roles, Brian was generous with his time and energy, even through difficult health struggles that would have, and very understandably so, sidelined most anyone else." Ori said Murray was "irreplaceable -- and he will be missed forever." Elwart added, "We are all better people for having known Brian Murray. His death leaves us saddened, but also encouraged and strengthened by the example of his life, by his commitment to family, friends and Notre Dame, and by his faith." Elwart noted that, before Murray's illness took its final, fatal turn, Murray had been selected as one of six honorees for induction into ND's Hall of Honor. The ceremony will take place next month; Murray had been notified of the pending honor. "We are grateful," Elwart said, "that we were able to reach out to Brian in recent weeks to let him know of this honor and to share with him how highly regarded and appreciated he was in the ND community." The Illinois Lawyers' Assistance Program has announced an affiliation with Dr. Diana Uchiyama, a licensed psychologist and lawyer in Kane County. With this new resource, LAP is expanding its reach in the collar counties, particularly DuPage and Kane Counties. The LAP office in Chicago, at 20 S. Clark St., Suite 450, is open daily from 9:00 to 4:30 (it will be closed on Columbus Day). The telephone number for the Chicago office is (312) 726-6607; it can also be contacted by email at gethelp@illinoislap.org. LAP can also be reached toll free at 800-LAP-1233. To make an appointment with a LAP clinician at any LAP location, call the Chicago number (312) 726-6607. In addition to the Chicago and new DuPage/Kane County offices, appointments can be scheduled for Park Ridge, Bloomington, Carbondale, Edwardsville, and Rock Island. And concerned individuals can contact LAP about a friend or colleague who may need help. From the LAP website: "Let us know over the telephone or in person who you are concerned about and why. We may ask you questions regarding the individual’s habits, whereabouts, and contact information. Any contact you have with LAP, including the fact that you contacted us out of concern for someone else, will remain confidential unless you state otherwise. Your colleague never needs to know that you called us."